Step 1 – Ballot envelopes are received and prepared for envelope sorting and signature capture machine. 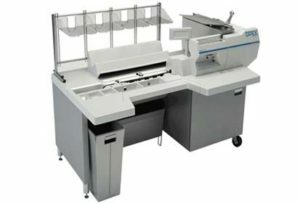 Step 2 – Ballot envelopes are run through the envelope sorting and signature capture machine. Step 3 – Signature on the ballot envelope is verified as matching the signature from voter’s registration record – either through Automatic Signature Verification technology or by election judges. Step 4 – Once signature is verified, voters are assigned vote credit in the statewide voter registration database and the ballot envelope is securely transported to 2nd Floor for opening and visual inspection. 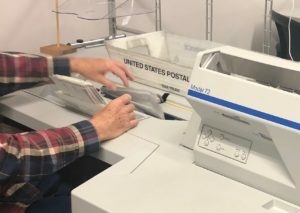 Step 5 – Ballot envelopes are run through a specialized machine that allows for easy extraction of ballots, and ensures voter anonymity and that no ballots are missed. 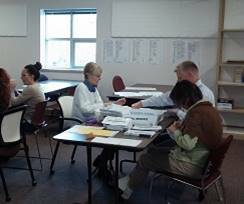 Step 6 – Bipartisan teams flatten and inspect the ballots in preparation for scanning. Step 7 – Ballots are scanned in batches and votes are captured in our voting system. 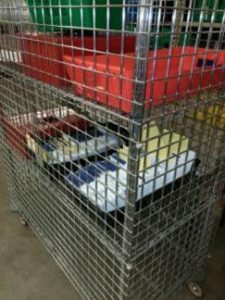 Step 8 – On election night, captured votes are tabulated and published to the public beginning at 7 p.m.
With ballot extractors, there is no longer a need for a secrecy sleeve. Envelopes now pass through the extractor and then an election worker pulls the ballot(s) out of the envelope. The process preserves anonymity because the election worker cannot see the voter’s name. 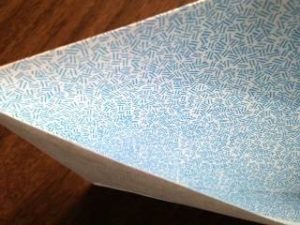 Additionally, for the last two election cycles, we have further improved security by adding a tint to the inside of the envelope. Elimination of the secrecy sleeve saves Boulder County taxpayers approximately $25-35,000 per election depending on the size of the election (through envelope cost savings and reduced staff cost). 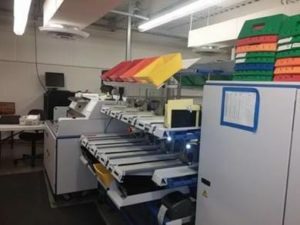 Boulder County Elections prints ballots with a local vendor in order to oversee strict testing and quality control of the printing process. 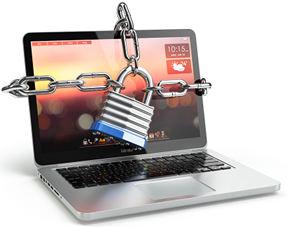 Our protocols go far beyond what is required by Secretary of State rule or state statute. 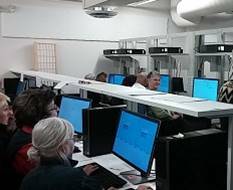 In addition to all the quality control we do onsite at the print facility, we are one of the only counties that uses live ballots during our pre-election testing of the ballots and equipment (every Colorado county performs a test called the Logic and Accuracy test before every election). 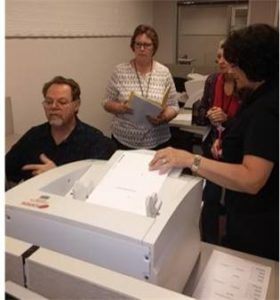 This means we test vote on ballots pulled from the actual print run of ballots that will be mailed to voters, versus having the printer print a “separate test deck.” We then run the ballots through our scanners and use our voting system software to ensure everything is calibrated correctly and tabulating properly. Ballot print alignment: Making sure all ballot styles are correctly printed, using a see-through mylar overlay to inspect every portion of the ballot and make sure all the text and target boxes are where they should be. Checking print quality: Testing paper and print for ink adhesion, runs, smudges, etc. Checking fold lines: Making sure ballot fold lines are where they should be. Verifying ballot styles: Making sure the right ballot styles are being printed; that no files were mixed up/combined, etc. Checking for accurate ballot insertion to the right voter: Checking batches of ballots to make sure voters are receiving the correct ballot style and inserts. This quality control work is done at the printer, prior to further testing of the ballots at our office through the ballot processing and voting system equipment. Our voting system is the equipment and software used to create ballots, capture votes, and tabulate results. The voting system we use is­­ called Dominion, one of the Colorado Voting Systems selected by the state after a rigorous public input process. The voting system is not connected to the internet and there are no updates to the voting system once the “trusted build” is applied. The trusted build is the vendor software that is tested and certified by the Secretary of State’s office for election use. Boulder County does not use electronic voting machines (formerly referred to as DRE machines). Beginning in 2017, we do have “ballot marking devices.” These are available for any voter to use, and support accessible voting for disabled voters. 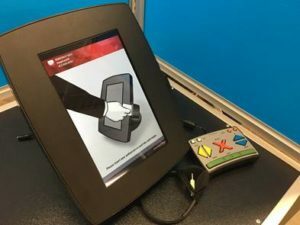 The voter verifies their ballot choices onscreen, then prints a paper ballot and deposits the voted ballot into a secure ballot box before leaving the Voter Service and Polling Center. 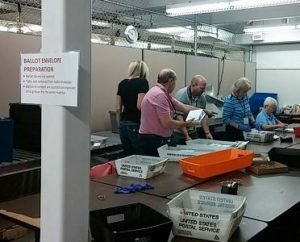 Only physical, paper ballots are used and counted in Boulder County. To ensure voting system tabulation accuracy, a statewide risk limiting audit is conducted after each election. The process reviews how a ballot’s votes were captured at the time it was processed by comparing a sample of paper ballots with digital tallies. To learn more about the Colorado risk-limiting audit process, see this Politico story on the implementation, or this Colorado Public Radio story, or this fact sheet from the Colorado Secretary of State.